It’s almost December! 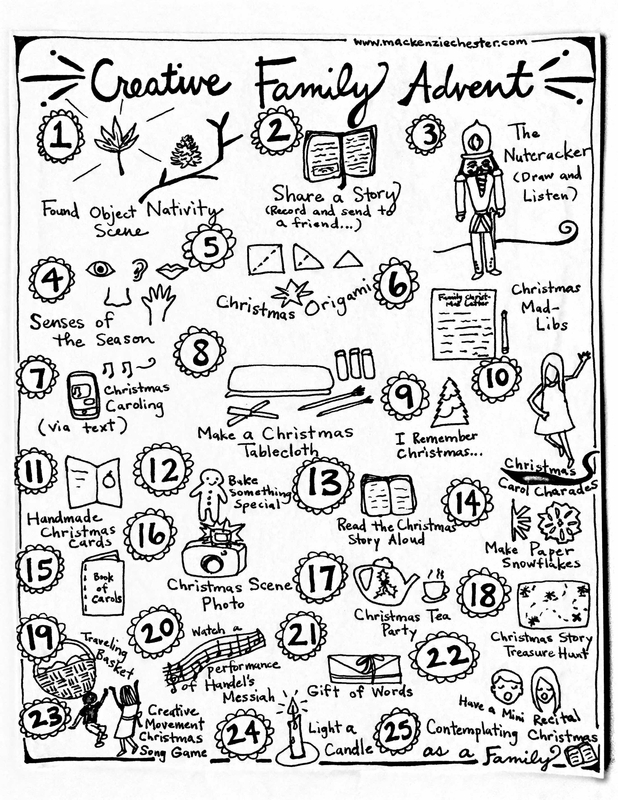 I made this Creative Family Advent Printable Calendar so that you can have a visual of the days ahead. Print it out, stick it on the fridge, and stay inspired to connect with your family through art, music, brainstorming, creative writing, storytelling, and more. If you want more details about each activity and how to enjoy these simple, creative projects with your family, go to my original Creative Family Advent post from last November. May your Christmas season be full of memories in the making.